Leaving your Web hosting company can be a lot like leaving a romantic relationship. Feelings may have been hurt. Things might get messy in the process. In the end, you’ll find yourself a new partner. So let’s look at the anything-but-fun process of switching Web hosting companies in the terms of a relationship breakup. Sometimes all it takes is a fresh perspective to make a painful process a little bit easier. Step 1: Talk it over and try to work things out. Before you make a rash decision and subject yourself to the stress of starting over with a new Web hosting company, see if you can work out your problems with your current company. Perhaps there was a simple misunderstanding and you can work things out and they’ll be able to solve your problem and make it up to you. Even if you can’t, at least you’ll always know that you tried. Step 2: Start checking out the competition. Once you’re absolutely sure that it’s time to move on to a new Web hosting partner because your current one just isn’t meeting your needs, it’s okay to start looking around. In fact, it’s encouraged. Don’t spring the breakup on your current company just yet. Use this time to keep an eye out for better offers. You’ll make the breakup much easier if you don’t rush into it too quickly. Step 3: Pack your things. Why shouldn’t you rush in too quickly? Because your Web hosting company might just cut you off. If they do, you might just lose your possessions in the process. How can you avoid that? While you’re keeping your eye out for better offers, “pack” your things. Make backups. Casually move all of your important files and databases into local copies. This way you won’t lose anything vital to your business or website when the current host cuts off your access. Step 4: Choose a new partner. You’ve been looking at other options. Now that you have all of your possessions packed and ready to go, it’s time to choose a new partner and prepare for the move. How you choose your new partner isn’t important (personal referrals, Web hosting reviews, etc.). What’s important is that you don’t make the same mistake you made the first time. That pretty little deal that lured you to the first relationship didn’t work out so well, did it? 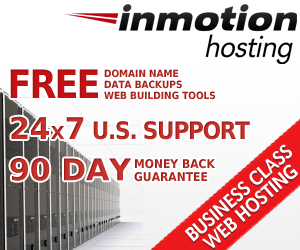 This time you need to pick a hosting company that’s ready for a serious, long-term commitment. You know where you’re going. You have your bags packed. It’s time to make the move. Once you’ve begun your new Web hosting relationship, start moving your files to their new home. Getting settled in before completely leaving your last Web hosting company will make the transition much easier on you. Step 6: Cut off all ties (especially financial ones). As soon as your site files and other data are safely on your new host’s servers, it’s time to say “goodbye” to the hosting partner you’re leaving. Remove your data from their servers. Stop any subscription payments. Give them a call and tell them it just wasn’t meant to be and you want them to cancel your account so you can move on with your life (and business). Try not to be too harsh towards your former Web hosting company. After all, we all make mistakes. That said, go ahead and tell them exactly why you’re leaving. Even though they weren’t the right partner for you, they might be perfect for someone else. Let them know what they need to change, fix, or improve so they can learn and grow and become a better Web hosting company. Best of luck in your new Web hosting relationship — here’s hoping it lasts forever! when it’s time to leave… for me, taking over two weeks to install a word press blog on a sub folder of our site, customer service that only responds after two contact reminders, fees that are competitively way out of line. guess your right, relationships are hard to break even if they make no sense. The WordPress thing wouldn’t bother me, because it literally only takes a few minutes to do it yourself. Most of the hosts I’ve worked with won’t even install your scripts for you. You can use their built-in tools to do it semi-automatically or you can do it manually if you want to and know how to (which still only takes a few minutes with WordPress). The customer service response time, however, sounds inexcusable. When you need support, you need it now… not several days from now or a week from now. Sorry you went through that.